The U.S. media group upped its bid for Britain’s Sky to $34 bln, a level that defies financial logic. That could be bearable if it drops out of a bigger, parallel auction for Sky’s main shareholder, Fox – leaving rival Disney to overpay. Doubling down would be downright reckless. The financial balance of power is shifting from clubs to groups like Sky, Telefonica and Canal Plus. The sport gets less money. But halting rights inflation gives telecom companies cash to invest in mobile networks while media groups can better compete with Netflix and Amazon. Gray Television’s purchase of peer Raycom Media for $3.6 bln will create the third-largest broadcaster in the U.S. Gray has similar problems to AT&T, Disney and Comcast, all doing debt-funded deals to catch more nimble rivals. But the TV minnows are starting from way behind. Back out the bits that Disney and Comcast don’t want, adjust for the time vale of money, and it looks like investors think Rupert Murdoch’s media empire will squeeze $5 billion more from its two suitors. Though the numbers could still shift, it suggests the fight isn’t over. The Magic Kingdom and the cable company are driving up the price for parts of Twenty-First Century Fox in a global M&A battle that throws financial logic out the window. But does it make sense strategically? Plus: India’s cricket league takes a few pages from the NFL playbook. Boss Bob Iger leapfrogged Comcast by raising his offer for parts of Fox to $71 bln, including a generous dollop of cash. He retains Rupert Murdoch’s support, and has room to go higher still. The cable firm may yet go hostile, but would be better off focusing its efforts on Sky. Big acquisitions will leave the telco and cable firm with more than $170 billion of debt each. 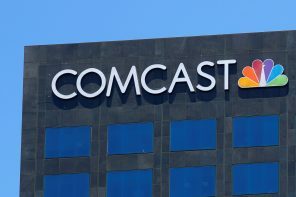 At first, Comcast’s bid for bits of Fox would create the heavier relative leverage load. But it’s AT&T’s recently closed merger with Time Warner that looks more vulnerable. The telco firm prevailed against the DOJ and can now legally buy Time Warner for $85 bln. The green light doesn’t mean that regulators will roll over for other deals however. T-Mobile US and Sprint may still be in the crosshairs. Plus: An Australian bank cartel runs into trouble. The cable firm is offering 19 pct more than Disney to buy bits of Rupert Murdoch’s Fox – potentially leaving it slathered in $170 bln of debt. Boss Brian Roberts is normally a careful dealmaker. Embarking on this expensive, hostile pursuit suggests a serious fear of missing out. AT&T will soon close its $85 bln deal for Time Warner. Comcast and Disney may fight over Fox. And yet among the big deals at least for now, Netflix, Amazon and Facebook are nowhere to be found. Their absence from the feeding frenzy may hint at the prospects for these mergers. The U.S. Justice Dept gambled when it sued to block the $85 bln Time Warner sale. Its failure means business as usual for vertical mergers, like Comcast’s likely bid for Fox. Big firms that directly compete will still face tough scrutiny – and prosecutors eager for a clear win. A judge cleared the telco’s $85 bln Time Warner purchase in a clean ruling against U.S. regulators who tried to block it. That’s a victory for CEO Randall Stephenson, but it could come with a winner’s curse. AT&T is new to the media business and has barely any room to cut costs. The e-commerce group made its first foray into UK football rights. But it won’t screen as many games as Sky and BT. The restraint means the group run by Jeff Bezos should easily break even, and suggests it’s more interested in scoring tactical goals than tackling rivals head-on. The cable group is preparing to scuttle Disney’s $52.4 bln bid for some of Rupert Murdoch’s assets. A major Fox shareholder is receptive to the idea. But Comcast boss Brian Roberts needs more than the best price to get a hearing. He could start by offering a bigger break fee. Vince McMahon’s wrestling kingdom may be close to inking a deal with Fox for its popular "SmackDown." The agreement would bring more than $1 bln for the rights to broadcast the program, much more than NBC has been shelling out. WWE deserves a champion’s belt for savvy partnerships. The company led by Les Moonves is suing its controlling shareholders. The idea is to stop Shari Redstone replacing directors, giving the board time to dilute the family’s voting rights and so escape a bad merger with Viacom. Right now, though, it’s a lot about egos. Boss Brian Roberts says the cable company is open to acquisitions and he won’t use stock. But how he pays is less important than what he pays. Challenging Disney’s $66 bln deal for parts of Rupert Murdoch’s empire would be an expensive fight. Roberts is better off walking away. The video-streaming service is outperforming its FAANG associate. Subscriptions give the business an edge – and an incentive for boss Reed Hastings to keep customers’ data close by. Cash burn is always a risk but for now Netflix is better situated than Facebook. Controlling shareholder Shari Redstone may want a merger with Viacom even without CBS boss Les Moonves. Getting rid of him would require new thinking on the board. A revamp is overdue anyway: two-thirds of directors are over 70 and diversity is only slowly getting past M*A*S*H.